2018 has arrived and the past year has seen the release of dozens of 360 cameras so I think now is a good time to update my previous 4K 360 camera post. While there are a few 5K and above 360 cameras available now, 4K is still considered the standard and usually come cheaper than the higher resolution cameras. There are a lot of new players in the field, and the decision as to which 4K 360 camera to get is now much harder. Thankfully I’ve tested and own nearly all the 4K 360 cameras available right now, which is why I’m here to explain to you which 4K 360 cameras you should consider in 2018. The Rylo might be my favorite 360 camera ever. Released at the tail end of 2017, the Rylo is a 4K 360 camera with two standout features. Firstly, the Rylo has the stabilization software of any camera I’ve ever used. Seriously, it’s amazing. Secondly is the re-framing video editor, which allows you to become a director and create awesome flat HD video from your 360 video. The Rylo’s main strength is its software, however the hardware isn’t too shabby either. The f2.2 lenses can shoot at a decently high resolution of 3840 x 2160, creating sharp, clear 360 video. The Rylo captures details very well and like I mentioned previously, works extremely well when moving. The low light capabilities aren’t as great and sometimes the video looks a bit saturated. Thankfully the App comes packed with its own video editor so you can quickly change the color and lighting in your footage before exporting it. The Rylo is only compatible with iPhone’s as of now, however Android will be compatible in the future. The other downside is that you can’t connect wirelessly to the Rylo with your phone, however this hasn’t been much ofan issue for me. The Rylo is the most expensive 4K 360 camera right now, but it’s also the most polished and has the best software by far. If you want one of the best and easiest to use 4K cameras, and you’re willing to pay a premium, then I fully recommend the Rylo. 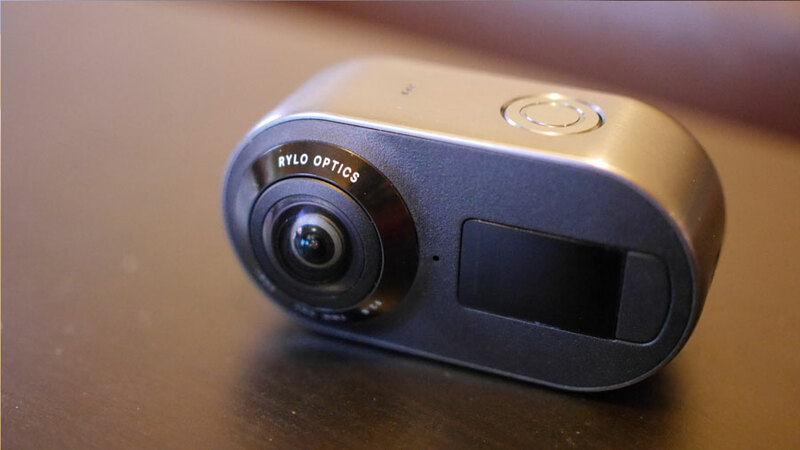 You can also read my hands on review of the Rylo. Insta360 is one of the most prolific 360 camera producers, with 5 models released in the past two years. Their latest and greatest camera is the Insta360 One which I’d say is the best all-round 360 camera, albeit with some rough edges. 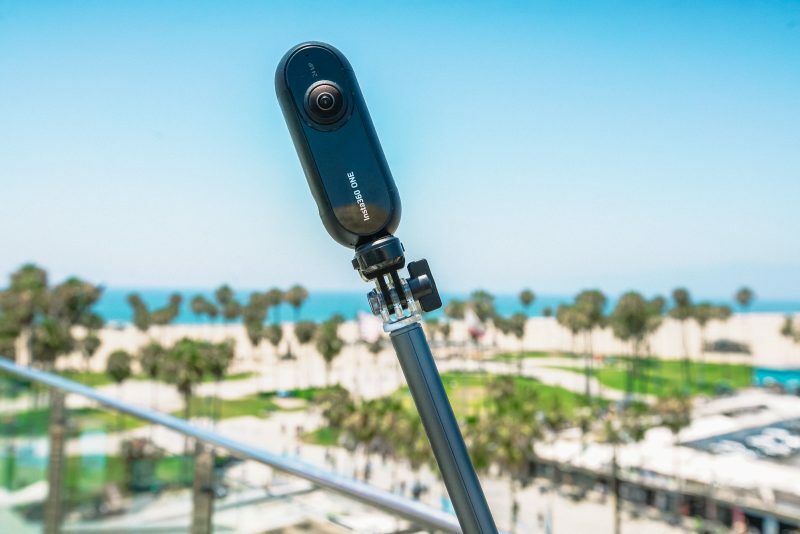 The Insta360 One can shoot at a resolution of 3840 x 1920, which is a standard 4K resolution but has a lower pixel count than some of its competitors. The video still looks great however and a step above older models. The video above demonstrates the Insta360 One video capability in a variety of environments. 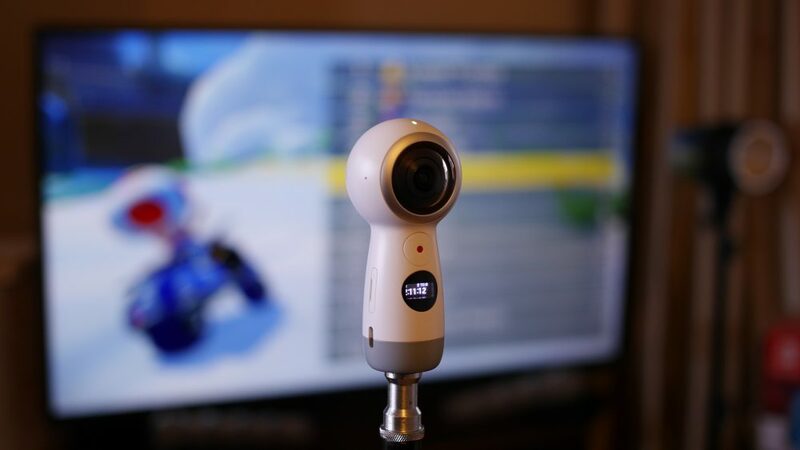 It doesn’t shoot the best 4K 360 video I’ve ever seen, but it’s certainly in the top 3. My main concern is that the camera seems to add a warm hue, which in some environments looks great but doesn’t work well in others. The camera was hailed as innovative and inexpensive when it was released in the middle of 2017. Insta360 developed three new video modes for this camera including freecapture, which is similar to GoPro’s overcapture or the Rylo’s re-framing mode. The free-capture mode on the Insta360 isn’t quite as good (or as easy to use) as its rivals, but it’s still possible to create awesome looking flat HD video using it. If you buy the Insta360 you’ll not only be getting a good video camera, but a great photography camera too. The One can shoot 23 megapixel photos, so if photography is important for you then you may want to consider this. The software and app are not as polished as some of its rivals, and the video is on the slightly less detailed side, however for most people this will be unnoticeable. The Insta360 One is compatible with both Android and iOS, however you’ll need to buy a $20 adapter for android phones. 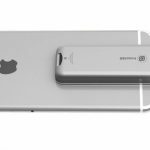 You can also attach the Insta360 to a tripod or selfie stick and use it independently of your smartphone. For its price the Insta360 One is one of the best value 360 cameras of 2018, and with future software updates planned, it can only get better. The Ricoh Theta V is the sequel to the incredibly successful Ricoh Theta S, which became one of the most popular 360 cameras ever and propelled gave Ricoh a big lead in the 360 camera market. The Theta V is a huge upgrade from the Theta S, featuring 4K 360 video and a excellent audio features. When the Theta S was released a few years ago it was considered to be a great 360 camera for photography, but video was limited to 1080p. The Theta V deals with this shortcoming by introducing new sensors which can shoot full 4K resolution, not only that, but Ricoh has included tech more commonly found in DSLR’s to ensure the new sensors can capture the maximum amount of detail. In my tests I did indeed find that the Theta V could capture a great level of detail when compared to other 360 cameras. One issue I did have in the above test is that there was no stabilization feature, so the video did not look great when moving. A software update has since improved the stabilization, but it’s not as good as the Rylo. Where the Ricoh really shines is in low light conditions, in fact it’s the best consumer 360 camera for low light video by quite a long way. The Theta V looks set to remain one of the best 360 cameras for 4K video in 2018. The quality and level of detail it can capture is among the best, however you will have to pay a premium for this. The smartphone app which allows you to control the camera is a bit buggy and sometimes disconnects, something that I would not expect in a premium product. The camera features 4 separate microphones, allowing you to capture spatial audio which works extremely well in conjunction with 360 video. This is certainly one of the top 360 cameras for audio capture ever released. If you think you’ll be shooting in low light conditions then this is the only camera that will be able to capture anything near acceptable. You may also be interested to know that the camera comes with an auto HDR photo mode, which can create stunning looking 360 photos. The Samsung Gear 360 is one of the most common 360 cameras and probably the best selling, thanks to Samsung’s huge advertising budget. This tiny 4K 360 camera is by no means the best, but it’s so cheap that it’s got to be worth considering. The Gear 360 can shoot at a resolution of 3840 x 2160, which is actually pretty high. Never the less, Samsung designed this camera to be cheap to make, so the lenses, and therefore video, are not great. The Gear 360 can do an OK job in good lighting conditions, however don’t expect to use it in low light or when moving. What makes the Gear 360 worth considering is its super low price and ease of use. The Gear 360 works with both iOS and Samsung smartphones, all you need to do it download the official app and connect wirelessly to your phone. Once you’ve done so you’ll be ready to go in seconds. This is a 360 camera that you can pick up and play anytime, suited to those who just want to shoot their vacation or capture special moments. The most attractive aspect of the Gear 360 is the price, which is regularly below $150. Samsung may be releasing an update to this camera in 2018, so you might want to wait and see what they come up with next!